Very windy with gave a diamond look to the blue ocean. 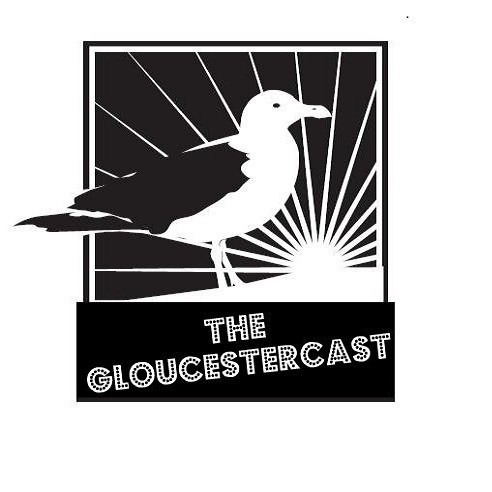 A BEAUTIFUL SNOWY OWL COMES TO GLOUCESTER! 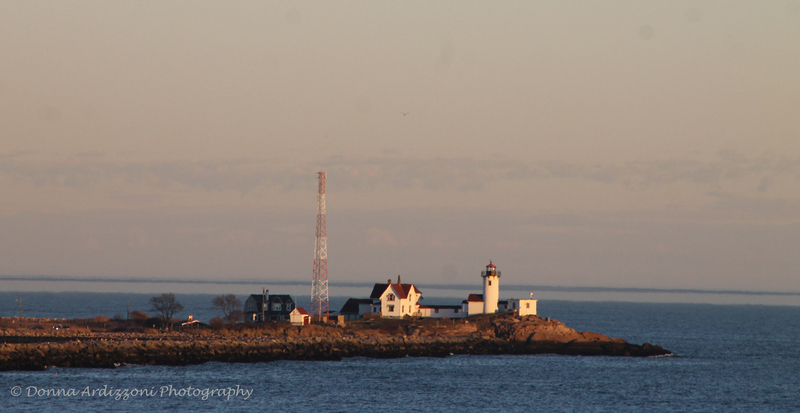 I think this is the first reported Snowy Owl to arrive to Gloucester in what looks to be quite possibly a fabulous year for Snowy Owls. 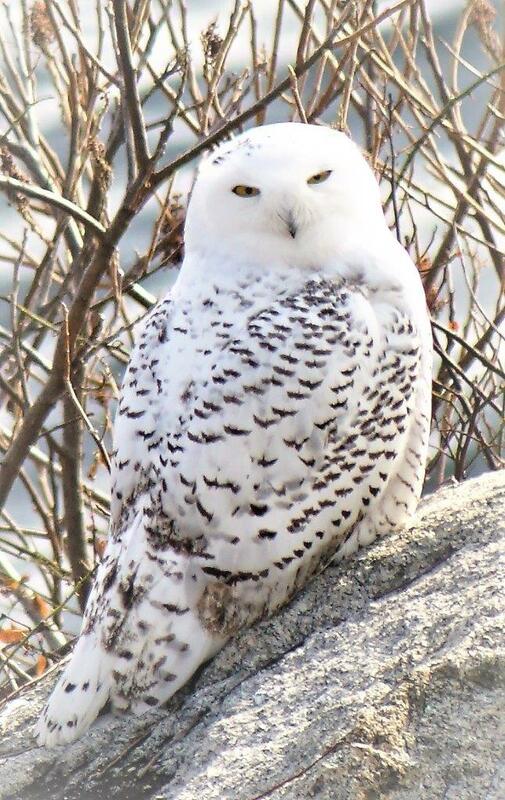 READERS, please continue to let us know of your Snowy Owl sightings. Thank you! I remember when the Snowy Owl visited you, well she is back! We named her Samantha the Snowy Owl. She was seen in our back yard and she is beautiful. Everyone keep an eye out for her. A VERITABLE BLIZZARD OF SNOWY OWLS COULD BE COMING OUR WAY! From where I was standing in Gloucester neighborhoods, here are several homes (and one gallery) with cut out shutters; beginning with the green shutters seen on the Beauport, Sleeper-McCann house, one of Gloucester’s two National Historic Landmarks, and a Historic New England property. Last week I was in the Amherst area to meet with clients at a museum. I added on a couple of exhibitions that I knew were closing before I’d be back in that area. I have to map out shows or I miss them. Here’s a link to Massachusetts Art Museums created in Google maps. Part 2 Massachusetts 2016 fall/winter museum exhibition guide coming! Upcoming show trends include: illuminated manuscripts, citizenship, art of picture books, and vintage and contemporary photography. It’s not common to integrate a bridge into New England homes. 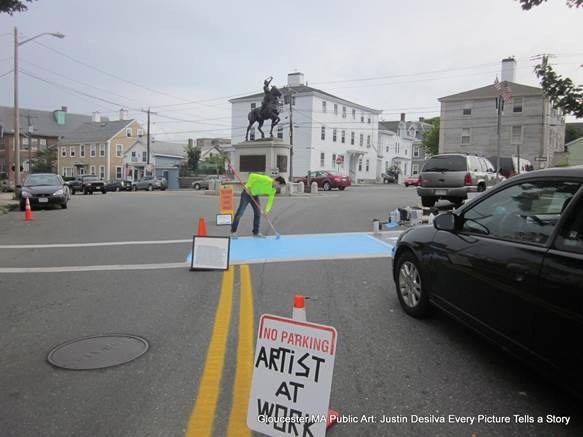 From where I was standing, a few of the intriguing thresholds in Gloucester and Rockport that announce their entry. Whether simple or ornate, necessary or whimsical, or both –who doesn’t like a journey and a bit of suspension? I enjoy thinking about themes of transition, space and connections. Walking around the grounds of the Hammond Castle is beautiful. The Hammond Castle will be opening soon for tours inside. 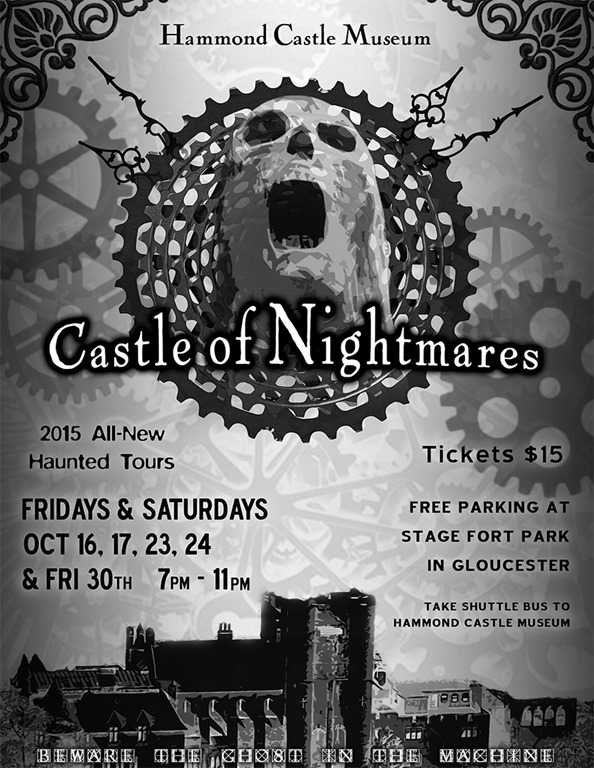 Please follow the link below to get more information regarding Hammond Castle. On Tuesday morning I was invited to take a tour of Hammond Castle, first I would like to thank Orianna and John for taking me around. If you have never been there, you are missing an amazing place with so much history. 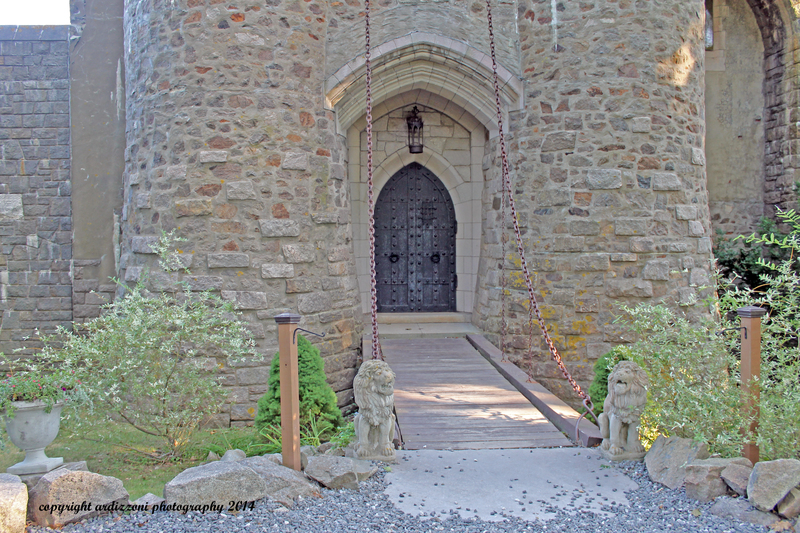 For more information on The Hammond Castle please go to http://www.hammondcastle.org. An upcoming fun event at the Castle will be The Medieval Fair, July 18 and 19th from 11:00 – to 5:00 pm. During the summer Hammond Castle will have candle light tours in July and August starting at 6:30, 7:30 and 8:15. The dates are July 9th, 16th, 23rd, 30th and August, 13th and 20th. 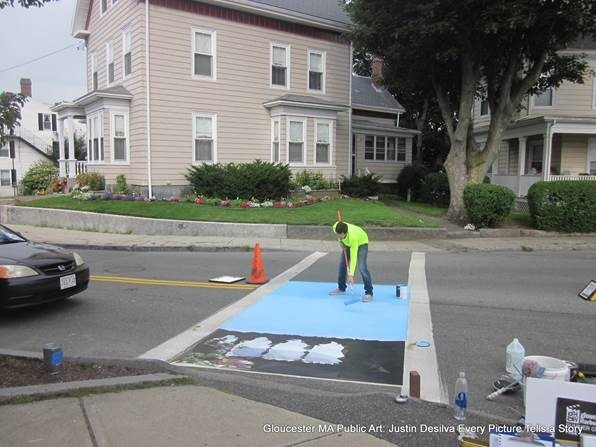 As a reminder, there will be 20 temporary mixed media crosswalks throughout downtown by artist, Justin Desilva (Rhode Island School of Design alumnus). 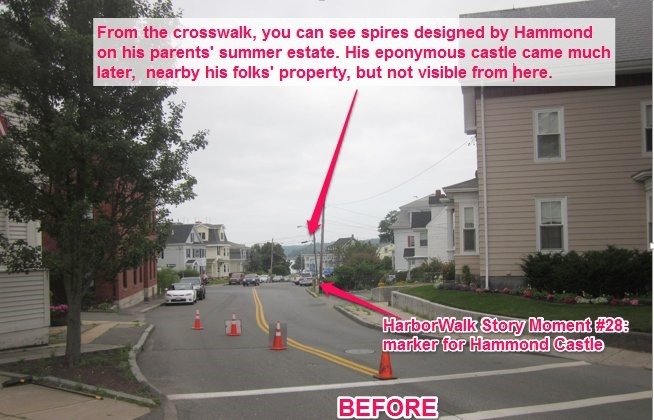 Each one features different HarborWalk story moment content. Special thanks to Ben’s Paint. 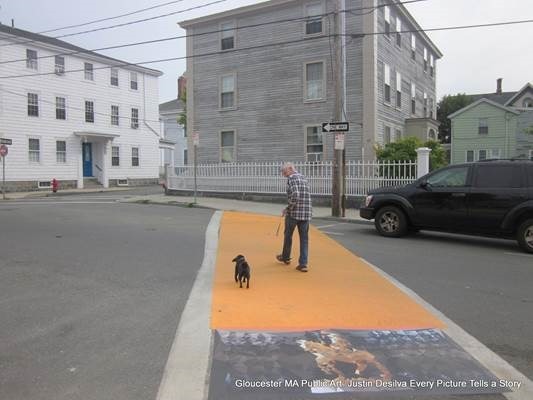 Here’s the TS Eliot work along the intersection of Washington Street and Main by Tallys. The HarborWalk Story Moment marker #2 featuring TS Eliot is further down on the path by St. Peter’s and Cape Ann Brewing. Comments included how the images change depending upon where and how one is looking (viewing the images through a lens, or viewfinder, from a distance, or up close). This man thought it was fun to compare Justin’s ideas and process with Seurat and other Pointillists. The pug is unfazed by the new surface over his frequent path past Joan of Arc. The HarborWalk Joan of Arc story marker is #37. We’ll ask Justin about his ideas in another post. Today’s intermittent rain slowed down the process, but not the speed of the cars! (Drivers fly past Joan of Arc heading to the Boulevard). Thanks to Phyllis Cucuru for spending time with us and supplying a barney trash bag. Feeling fortunate that Café Sicillia, Building Center and other businesses are open on Sunday as we had to make a couple of trips. 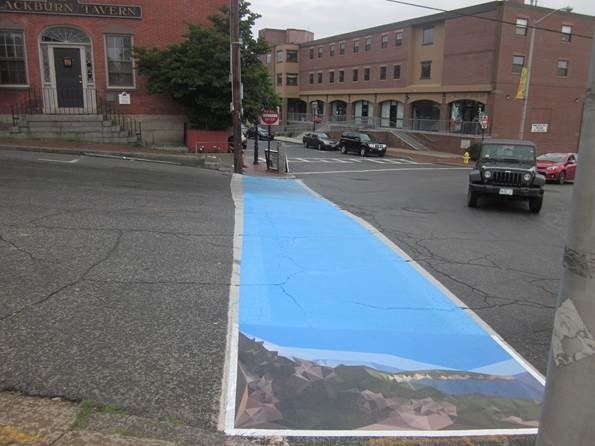 Desilva was planning to complete Hammond Castle and one in tribute to the Dory (on Main Street by Café Sicillia and Short and Main). Here’s the Hammond Castle site BEFORE looking down to the Boulevard and out to the harbor. There’s also a photo looking back in the direction of the Joan of Arc memorial. 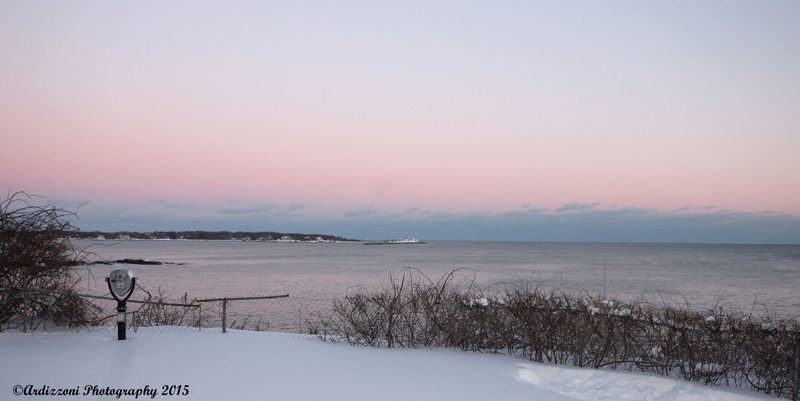 Took this from the Hammond Castle at 4:00 pm. 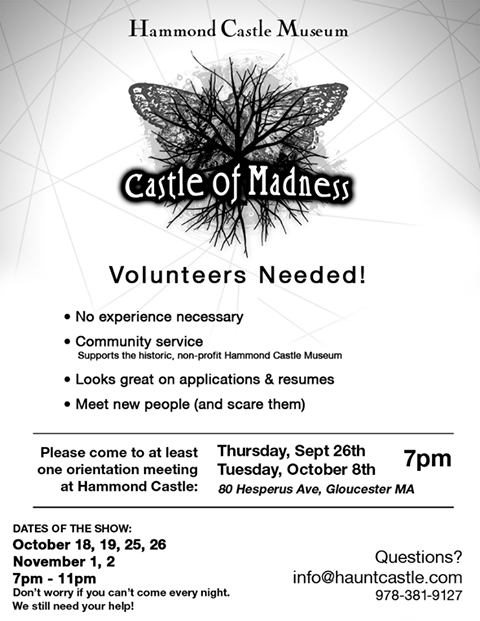 Hammond Castle is preparing for their Halloween fundraiser "Castle of Madness"
Hammond Castle is preparing for their Halloween fundraiser “Castle of Madness” and they’re looking for volunteers, high school and above, for cast and crew. There are six evening performances: Oct. 18, 19, 25, 26 & Nov. 1 & 2. 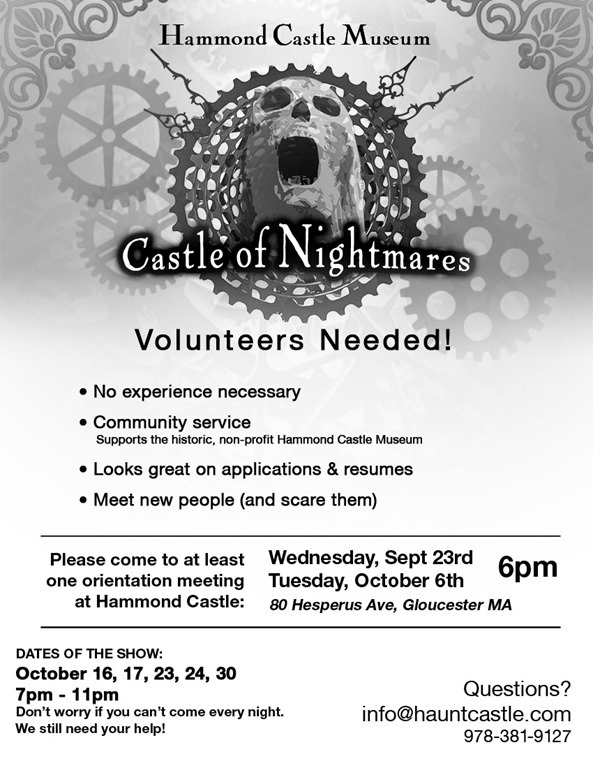 There’s an organizational meeting for interested volunteers this Thursday, September 26, 7PM, at Hammond Castle. There’s a few paid positions available as well. Working on the “Castle of Madness” is a blast, and attending it is wicked scary fun! 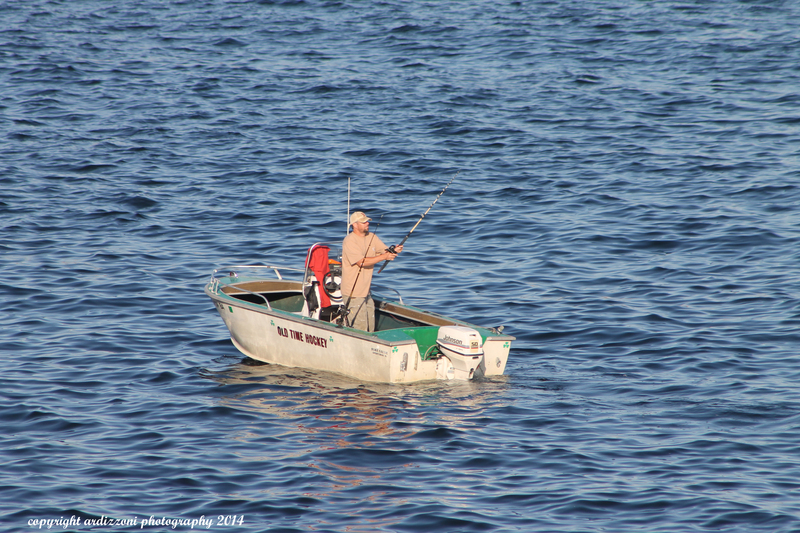 Thanks for posting this, Joey… I’ll send along updates & pics along the way.